Our UN Rated packaging. We are the most trusted supplier of UN specified tested Packaging. · An internationally accepted UN marking providing the package(s) are tested in accordance, and safe to transport hazardous materials and dangerous goods by land, air, and sea. 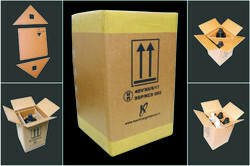 · Packaging meets Packing Group I, II and III Performance standard. · Ready to use Packaging. · “V” Rated Combination Packaging. · Packaging meets Packing Group II and III Performance standard. Packaging Details: We carry variant of U.N. Certified Boxes that meet all domestic and international regulations for your Dangerous Goods packing and shipping needs. 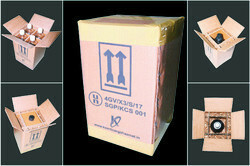 These UN Boxes or UN Variation Packaging have been tested in accordance to meet IATA and IMDG requirements. 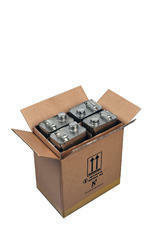 Our 4G/4GV Boxes and Packaging are more rigorously tested to enable maximum safety. These UN tested packaging are designed to ship Packing Groups I, II, III Solids or Liquids, depending on the weight and regulation requirements of each material being shipped. 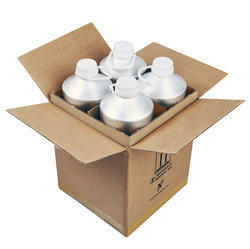 Hazmat Boxes can be used for a wide range of needs, please inquire about your commodity to see if it is eligible to ship through Our UN Rated packaging. We are the most trusted supplier of UN specified tested Packaging. Looking for UN Certified Fiberboard Boxes ?